Are you outdoorsy? 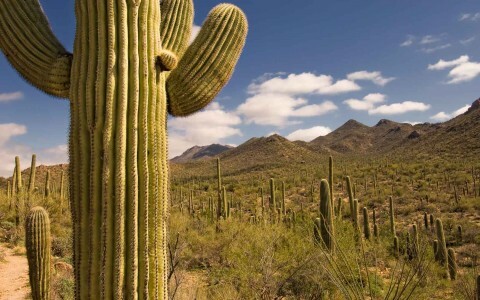 Check out the world-famous Arizona-Sonora Desert Museum or go hiking in Catalina State Park. 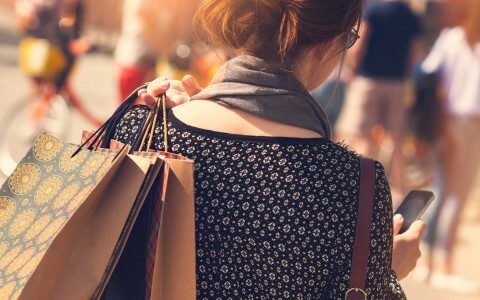 Prefer an afternoon of shopping? 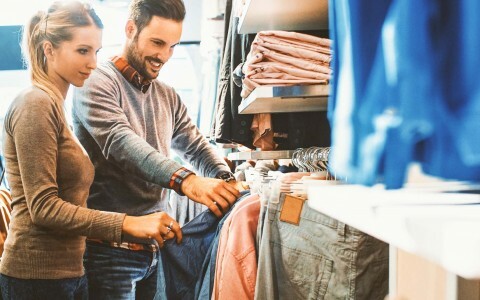 Premium Outlets recently opened 60 shops just 20 minutes from our doorstep. 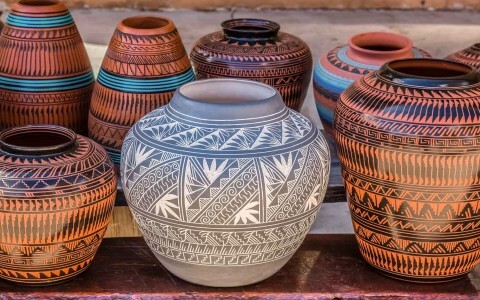 Or maybe you’d like to explore our local arts scene—we have plenty of galleries featuring local artisans. 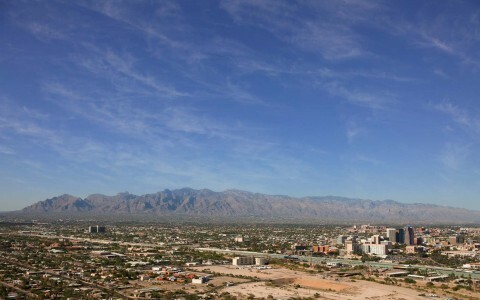 Whatever your passion, you’ll find it in Tucson. This distinctively Tucson plaza is home to an exquisite collection of art galleries, fashion boutiques and several exceptional restaurants. Galleries and shops occupy an entire city block in this adobe complex in the historic El Presidio neighborhood. Explore this brilliant collection of boutiques, national retail anchors, unique eateries and traditional restaurants. 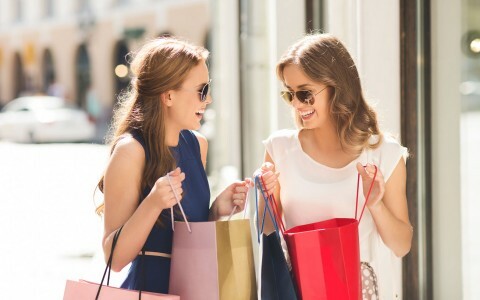 For a quick bite, a special occasion, a gallon of milk, or an afternoon of retail therapy, the marketplace delivers. 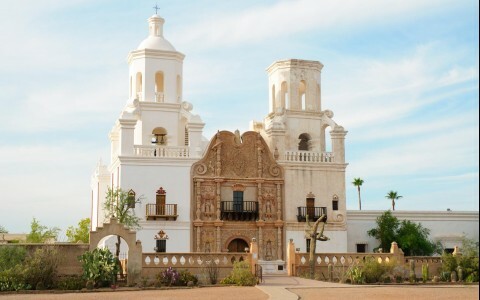 Arizona's oldest European settlement, Tubac was once the site of a Spanish presidio. It is now a thriving artists' community, with more than 80 unusual shops and galleries of crafts and original fine art accompanied by several restaurants to satisfy any culinary craving. An outdoor shopping mall on beautiful, palm-shaded grounds. Premium shops include Nike, Banana Republic, Aldo, Michael Kors, Oakley and more. Established in the 17th century by Spanish missionaries, this 200-year-old church is recognized as one of the country’s finest examples of mission architecture. 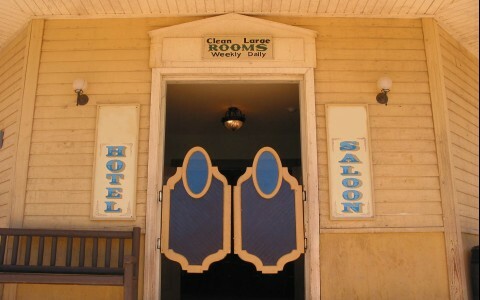 Old Tucson Studios was originally built as a movie set for the 1939 Western epic “Arizona.” This world-famous Old West theme park is a re-creation of an 1880s frontier town with period townsfolk. A steam train, pony rides, gold panning, stage shows and stunt-show shoot-outs entertain all ages. You may even see a Hollywood production being shot. 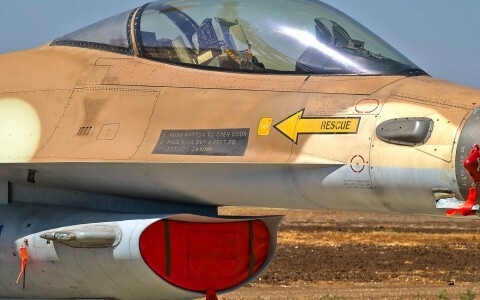 See hundreds of historic aircraft at the largest privately funded air museum in the world. 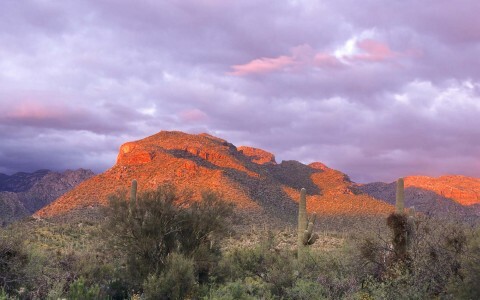 Home to one of the state’s last populations of Desert Bighorn Sheep, Pusch Ridge’s breathtaking canyons and ridges offer dramatic views of Oro Valley and Tucson. 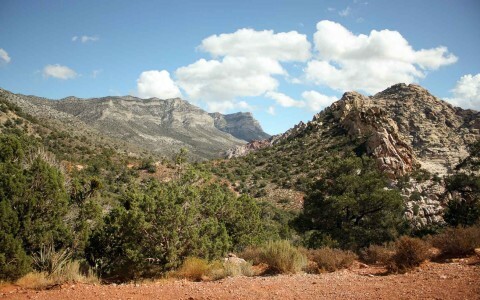 The ridge comprises the three distinct peaks of Pusch Peak, Bighorn Mountain, and Table Mountain. 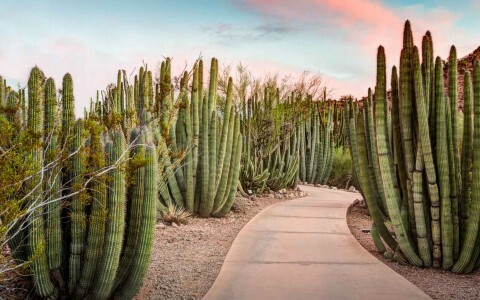 This highly acclaimed outdoor “museum” showcases 21 acres of Sonoran Desert landscape, including a zoo, botanical garden, natural history museum, aquarium and art gallery. 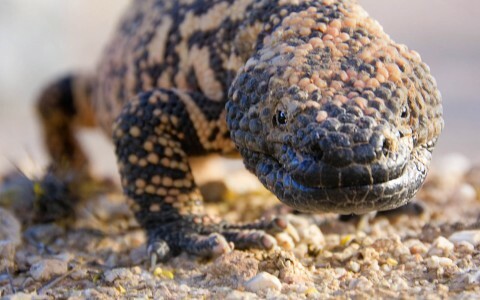 Climb through an artificial limestone cave, hike 2 miles of wildlife-dotted land, and see indigenous javelina, coyote and more in their natural settings. Don’t miss the live raptor shows. Zip across Tucson’s stunning desert foothills along a course with five cable spans, including the state’s longest span at 1,500 feet. 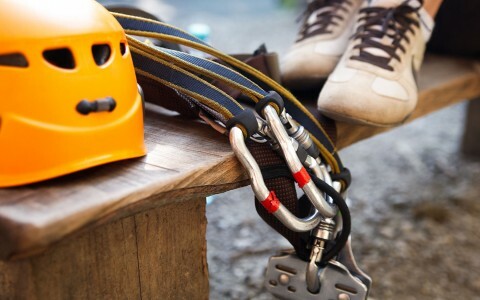 And for the truly daring, there’s also a 45-foot leap of faith and 40-foot-tall giant swing. 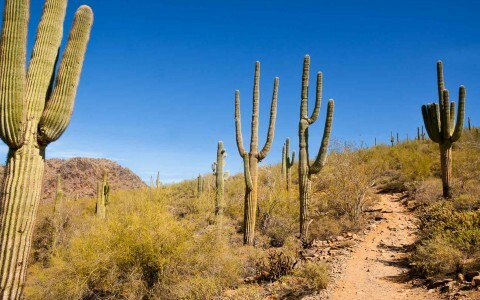 Hiking trails crisscross this nature-lover’s paradise in the Santa Catalina foothills. The popular Romero Trail explores a wash and running creek, with abundant plant life along the way. Trails popular with bikers and hikers wind through this beautiful narrow canyon, located northwest of Tucson in the town of Oro Valley. 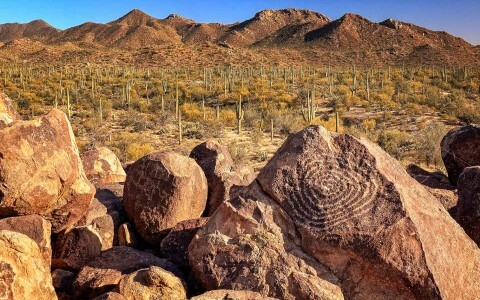 One of the most popular trails, the Honey Bee Canyon Trail, is an easy, 3-mile loop following the canyon—keep an eye out for the rock adorned with petroglyphs. It’s believed that no human had ever seen this huge living cave prior to its discovery in the 1970s by two Tucson cave enthusiasts. 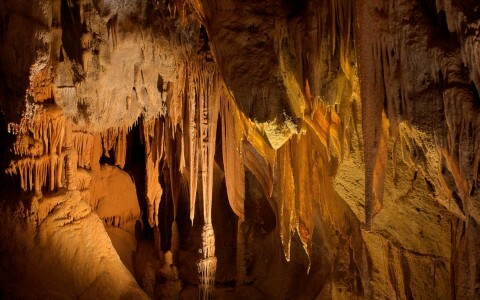 One of the great natural wonders of the western United States, Kartchner Caverns is exceptional because it’s a “wet” cave, meaning its formations are still growing. Reservations are recommended well in advance. The 1-hour scenic drive up Mount Lemmon will take you from the desert valley up to a Ponderosa pine–covered mountain peak, the Santa Catalina range’s highest point. Enjoy the scenic viewpoints, picnic areas, a trout-stocked lake and miles of hiking trails. There's even a ski lift ride open year-round, with skiing available depending on snow conditions. 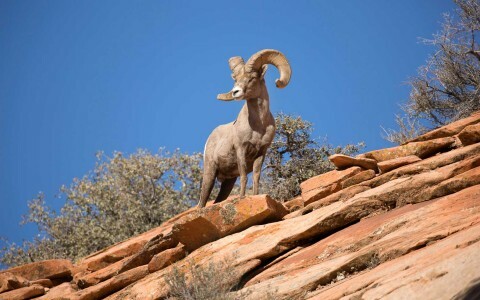 Discover spectacular canyon scenery and a fascinating array of wildlife. Hike the 3.8-mile paved trail into the canyon, or take the fun, narrated tram ride to learn about the history and fascinating wildlife. See close-up the massive saguaro cactus—which only grows in the Sonoran Desert—at this mountainous park. Take the scenic drive or hike one of the many beautiful trails. The terrain at this eastern section of Saguaro National Park completely differs from that found at its sister park to the west. Rolling foothills are softened with trees, grasses and desert shrubs. An 8-mile loop drive around Cactus Forest Drive provides an overview of the park area. 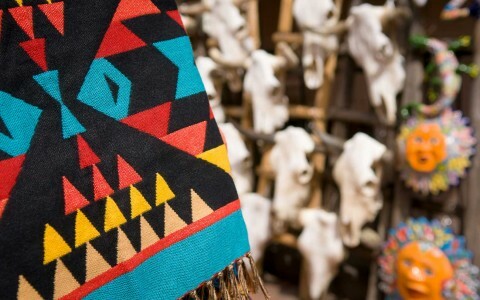 A scenic 49-acre desert preserve and center of nature, arts and culture. Enjoy three art galleries, the Tea Room for breakfast, lunch and high tea, nature trails, gardens and unique gift shops. Open daily 8am – 5pm. 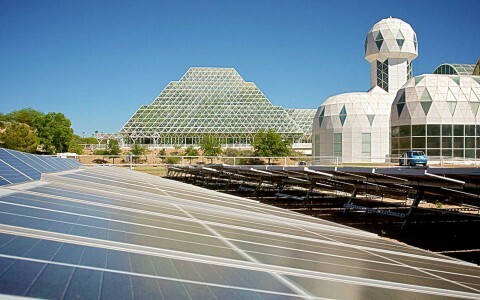 This fascinating cluster of biomes is one of the world’s largest living laboratories, where the interaction of nature technology and humans is played out and studied in under-the-glass ecosystems—originally as a prototype for space habitation. Guided walking tours take you through the various biomes, including tropical rain forest, savanna, desert and ocean.